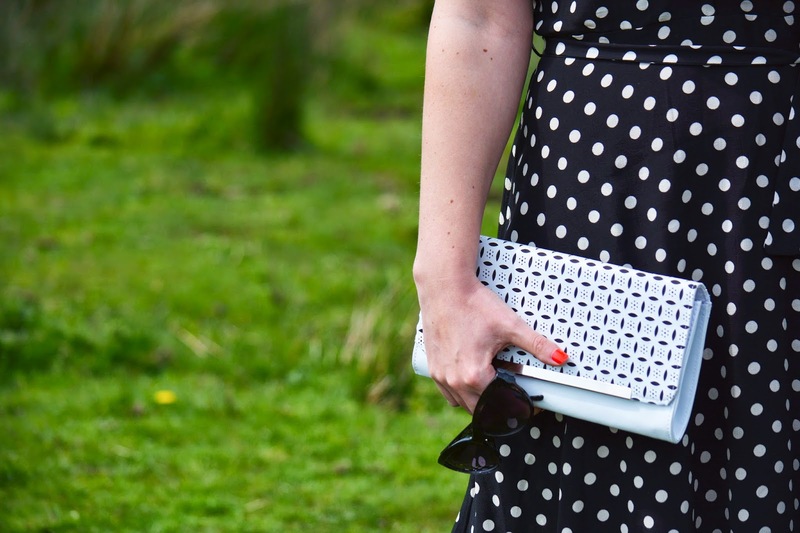 Sometimes a polkadot dress is just the perfect mood lifter. This beauty is Debbie’s from f&f for our little #frockswapuk. So far Debbie and Erica have styled it and now me, and each of us have fallen hopelessly in love with it. This dress is the best twirling floaty feel good dress i have worn in a long time. Hubs loved it and was gutted i had to forward it on to Donna. But i can’t wait to see how she also styles it and if she loves it as much as the rest of the frock swappers. “Mummy you look like Elsa” I mean it’s nothing like Elsa from Frozen but i think in 3 year old talk that means “wow mummy you look pretty in that dress” haha! bless him!! 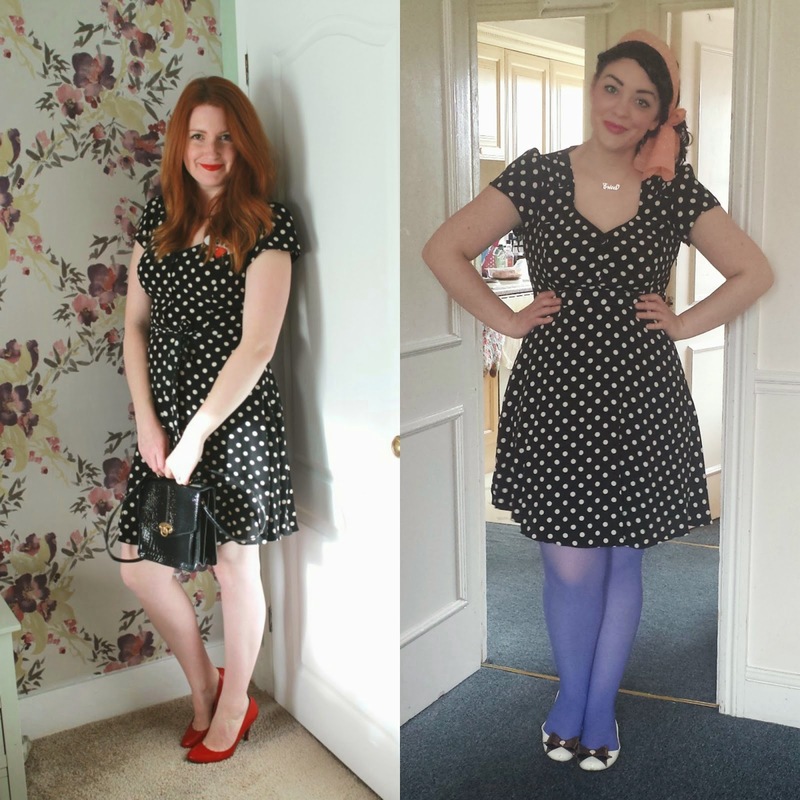 Here’s how the girls styled it… both gorgeous huh!! Do you have any dresses that just make you feel like a princess? I love it when you find a dress which makes you feel pretty like this – the shoes are fab with this as well, you look great! 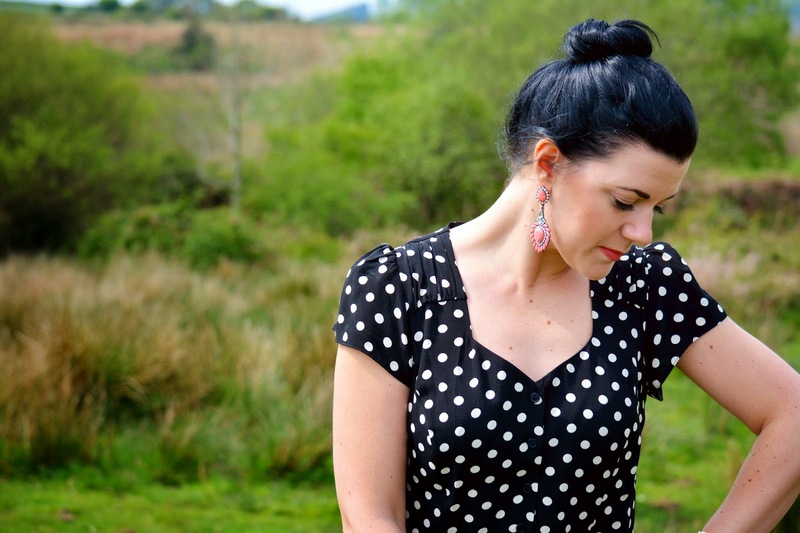 This is the perfect polkadot dress! I Love the way you styled it! You look beautiful here, I love it with the coral heels! The ever-loving Rachet in a super-chic and girly dress which I totally love and hopefully I can have my tailor make it for me. I am also loving the shoes and earrings. Super Gorgeous as always Ms. Rachel. P.S. So I am thinking next time I'm in England (probably next year) we should meet. =) What do you say? Enjoy the weekend, love!! <3 Ada. This dress looks GREAT on you! Perfect styling as well. And how fun to see how the others styled it. This dress looks so good on you! It's the perfect fit! The dress is quite pretty, the shoes are SMASHING!!! Love this dress! It has a little bit of a retro vibe. Fun shoes too! I love this dress on you! Very vintage pin up looking, especially with the beautiful red heels. Love it! I would love if we could follow each other? Wow I never realised F&F were so stylish. I like the way its styled by all of you. I love the coral pashmina that you have and the dress with the coloured tights Erica has. This dress is freakin' adorable. Seriously. So cute.